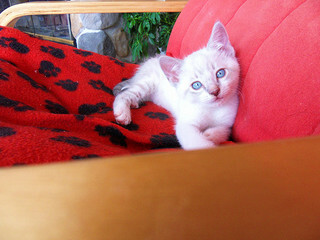 Not all blue-eyed white cats are deaf, but many of them are. 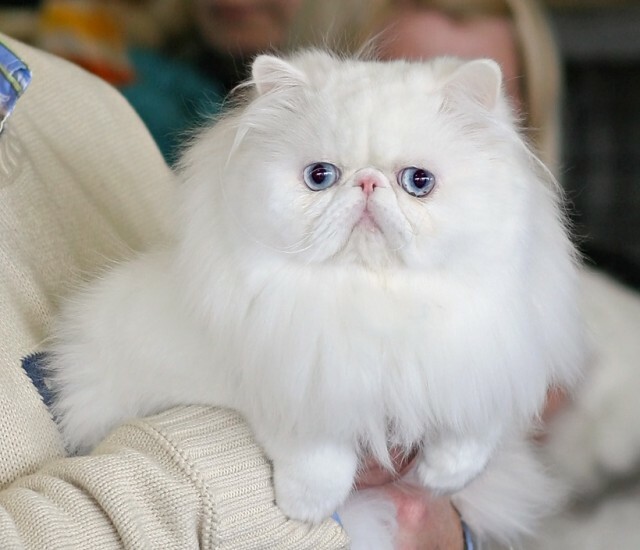 When one or both eyes are blue, anywhere from 60% to 80% of white cats will be deaf. 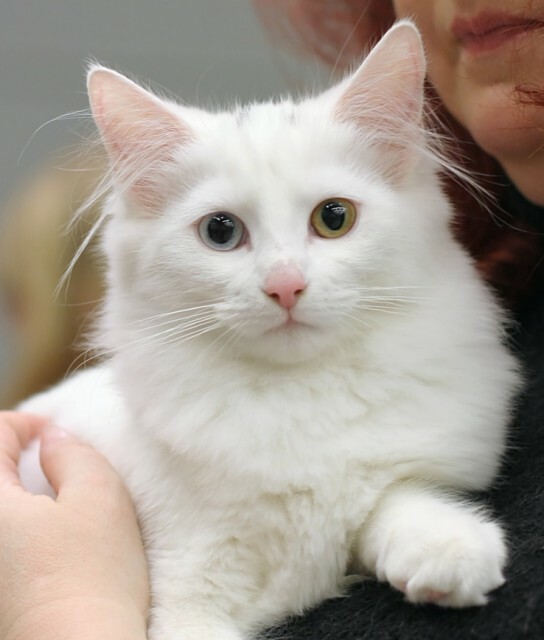 The majority of white cats have orange or green eyes, and only 10% to 20% of these are deaf. Deafness is very rare in the non-white feline population overall. There are a number of genes that can influence coat colour and eye colour, so a white coat with blue eyes won’t necessarily indicate an increased likelihood of deafness. For example, an Oriental cat that is white carry the Siamese gene for blue eyes, which is not linked with deafness. Deaf cats suffer from disadvantages in a couple of areas – caring for their young and hunting. Because blue-eyed white cats are often deaf, there has been a common misperception that they are bad mothers because they don’t hear their kittens calling for them and thus appear to be ignoring their offspring. As for hunting, deaf cats may have trouble locating prey by sound. However, deaf cats can be good mothers and good hunters. Many compensate for their disability by becoming exceptionally sensitive to sound vibrations, which enables them to hear with their paws. Vision and other senses may also be enhanced, giving the deaf cat an edge in some respects. Hartwell, Sarah. (2007). “White Cats, Eye Colours and Deafness.” MessyBeast.com. Morris, Desmond. (1987). Catlore. London: Jonathan Cape Ltd.
and looks as if it may have been lost? The Siamese is in excellent health other than in need of food. Please reply (if) this lost cat has been reported as last by its’ owner.